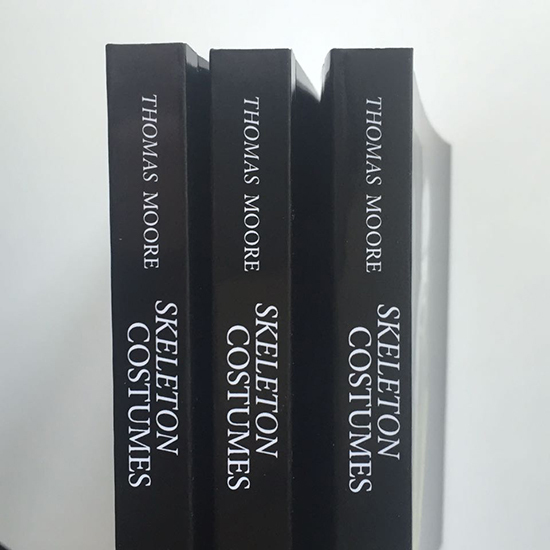 Thomas Moore's stunning 2014 book "Skeleton Costumes" saw the writer's work stripped down to its most raw and effecting form yet. 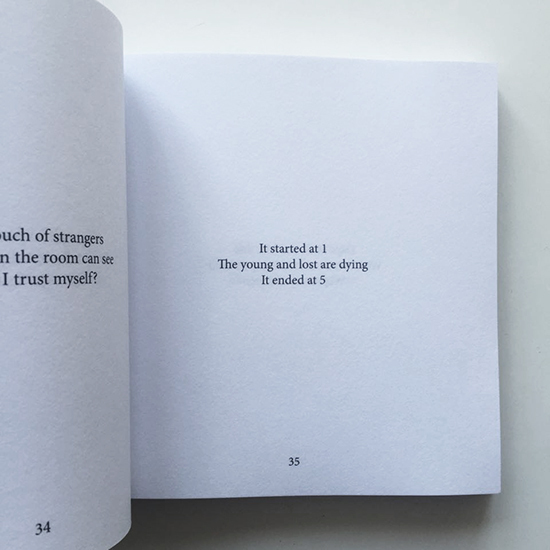 Now, after a sold out first run, "Skeleton Costumes" returns in a new, expanded edition which includes an additional 30 poems in the form of a haunting new section titled "No One Will Ever Find You". Skinned of any extraneous flesh, the simplicity of these pieces bely their emotional impact and visceral depth. 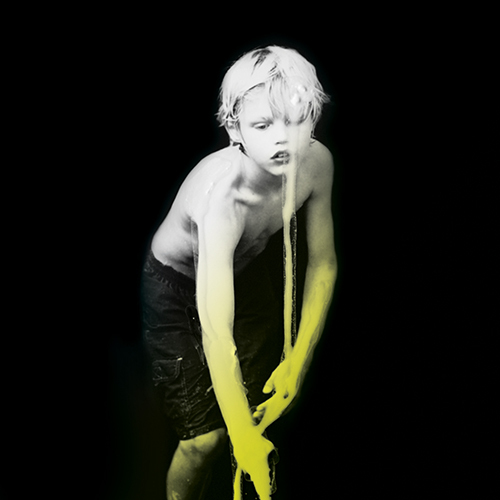 These short stabs and sharp explosions of verse accumulate to create an unconventional and, at times, harrowing narrative that investigates fear, lust and an abandonment of moral codes. 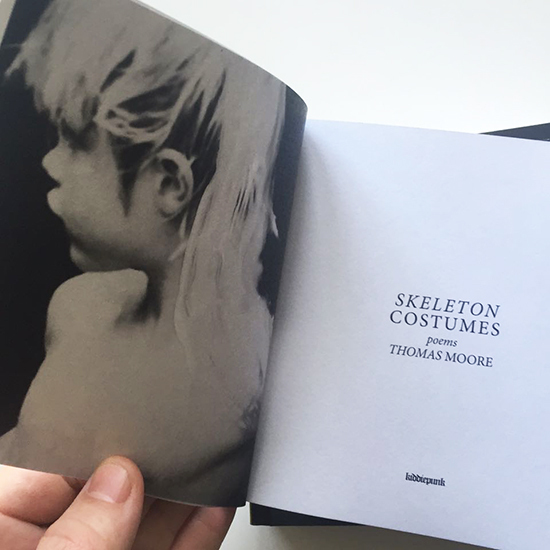 ** NOTE ON THE FIRST EDITION: The first edition of "Skeleton Costumes" was also available as a special edition that included a separate 40-page zine titled "All Of My Fears Are Shared With Strangers" and was limited to only 20 copies.